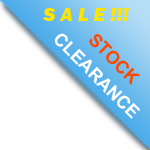 RXSOL-31-3021-001 is a dry organic chlorine in tablet form giving a high available chlorine. base, ensuring an effective sterilising and disinfecting action in slow release form. 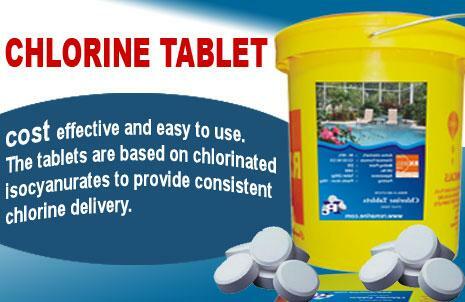 200g tablet with 90-92% available chlorine. For chlorination of swimming pools, sewage and waste water.Standard tablet size: 75 mm diameter - 25 mm H. For swimming pool water treatment: 4 large tablets every 100 m3 of water to be put in skimmers or in floating trays. For waste water treatment, fill the chlorinating pipes until 2 to 5 PPM of residual active chlorine are obtained. If below 2 PPM, use both chlorinating pipes. Assess residual chlorine level with the appropriate TEST KIT supplied by Rx Marine International Rxsol Chlorine Test kit. RXSOL-31-3021-001 is a dry organic chlorine in tablet form giving a high available chlorine base, ensuring an effective sterilising and disinfecting action in slow release form. 200g tablet with 90-92% available chlorine. For chlorination of swimming pools, sewage and waste water.Standard tablet size: 75 mm diameter - 25 mm H. For swimming pool water treatment: 4 large tablets every 100 m3 of water to be put in skimmers or in floating trays. For waste water treatment, fill the chlorinating pipes until 2 to 5 PPM of residual active chlorine are obtained. If below 2 PPM, use both chlorinating pipes. Assess residual chlorine level with the appropriate TEST KIT supplied by Rx Marine International Rxsol Chlorine Test kit. The tablet is dosed to the water supply tank preferably suspended away from the fabric of the tank. The tablets should not be allowed to rest on the bottom of metal tanks. Being in tablet form this is a safer method of administering chlorine than the usual liquid preparations. When used as part of a planned programme of protection it will assist in control of problems associated with such areas as bacterial and organic foulingincluding legionnaires disease. Rates will be determined by the extent of current problems. An initial dose will be required to give a free residual chlorine reserve of 5-50ppm for a minimum of 1 hour. Thereafter a reserve of 0.5-2.0ppm is normally sufficient. Also available as rapid dissolving (Bechlor 126RD) 1 tablet will give 50ppm chlorine in 3.6m3 water. There are currently 6 users and 495 guests online.